Good morning! It’s a wonderful of beauty all today. And I want to thank you all for joining us and spending time with us at this Dell Technologies Forum. You are going to learn a lot about what we are learning from all of you, our customers around the world. It is a super interesting time, you know, the rate of change in our industry is only increasing and the world technology is really expanding. You know, when I travel around the world, I hear a lot of our customers, really all of our customers talking in some way about the digital transformation and digitization of our world. And it’s affecting every aspect of business and society: education, government, energy, healthcare, manufacturing, retail, ect. No part of our world is unaffected by the digitization and digital transformation. And for technology, what’s happening is that is becoming more important. It used to be that the IT, the information technology was the in the IT department. Well, now you have technology in every department, in every part of a company. And I have one customer described it to me, and they said IT used to be a chore, and now it’s core. It’s absolutely essential to our business and our success and our survival. And there is at the center of this, a virtuous cycle where we have data, and of course we have much more data now than we had five years ago. And we will have way way more in five years and ten years from now. And this data is allowing us to make our products and our services better, to enhance them and provide better outcome and better value and better success for our customers and our users. And then we get more customers, and guess what, we get more data, because where there did the data come from. Well, we all know that the number of connected things is increasing very very dramatically. Certainly, in China the progress in the last 40 years has been amazing. We are honored to have been participated in that in the last 20 years, and we’ve seen incredible developments in the last several decades. But now everything is becoming intelligent, from automobiles to aerospace to medical devices to any kind of thing you can imagine is becoming digitized. So this is creating even more and more data. What’s also happening is now, the next generation of computer science, artificial intelligence, machine learning, deep learning, neural networks, allowing these data to be used much more effectively, and this allows us again to enhance the products and services that you all create and we create, and we end up with even more customers and more data. And the cycle just repeats itself, but going faster and faster. And of course the networks are getting faster as well just around the corner we have the fifth generation cellular network, a thousand times faster, a thousand times lower latency. It’s not so we can talk on the phone faster, it’s all about the data. And this explosion data is only going to continue. So there is lots of it, it’s going to grow quite tremendously. And it requires significant tools and capabilities to be able to take energy of this. What we also see in our industry over long pretty time is the pendulous swinging back and forth, from centralized to decentralized, back to centralized and decentralized. And what we believe is that the answer isn't either or is actually both. And with the incredible intelligence that is being embedded in every device, there will be a boom in what we would refer to as edge computing. So think about anything that you would interact with becoming intelligent because the cost of a sensor is approaching $0. And so think of all of the connected devices as not just the ones we were used to, like computers or phones, but now everything gets connected. So it’s going to be a massive build-out in edge computing with very low latency inside the networks. And we believe that you will have an architecture where you have this huge build-out on the edge, you will have the distributed core of computing and you will have clouds: public clouds, private clouds, hybrid clouds is the multi clouds world, we believe the cloud is not actually a place but rather a way of doing IT. And you can do that yourself you can ask somebody there for you. And in reality, you will most likely have a multi cloud environment where you decide where the right places for any given workload and that will change over time. So a little over two years ago, we completed the combination, bringing together Dell, EMC, VMware, Pivotal many other companies to create the world’s leading infrastructure hardware and software company, in the world essential infrastructure company. I should stop and say a very big thank you to all of our customers in China because our business here has been growing at extraordinary rates. And we were very appreciative for the trust and confidence you place in us. We've also seen a similar development around world where our business is growing quite rapidly. And as you hear about through this Dell Technologies Forum and in the exposed area will you see many demonstrations and many of our partners. We see our customers really simultaneously dealing with four things all at the same time, probably the most importantly is the digital transformation, the digitization. How do we take with these data and how do we use software and AI to express our competitive advantage? If you have a lot of data, you’re not already starting to do this, I would say you probably do get wrong, and your competitors are probably going faster or you have to worry that there will be new company coming along to disrupt your business. And the digital transformation is really about reimagining and organization. When you think about the cost of predicting something going to 0，because of artificial intelligence. When you think about the ability to dramatically improve all the products and services with all this data information, we can’t operate as organizations the way we used to, you know last year or five years ago or ten years ago, so requires all organizations rethink what their business was. And certainly with VMware and Pivotal and Dell EMC， we have great capabilities to help our customers address that. The second transformation is in the information technology itself , and just like in automobiles, there is a massive effort going on around self-driving, automobiles and electrification. In the data center, there is a massive movement toward the self-driving data center. The autonomous data center, where all the operations can be automated and this providing credible flexibility and credible scalability and also allows for the creation of this multi cloud environment where workloads are moving around and you’re figuring out exactly where the right place for any given workloads. And we know from our experience that when we automate and modernize a data center for the predictable workloads, which for most organizations are roughly 85% to 90%, and on premise solution, costs several times less than the public cloud. And this is very surprising to many people. But we’ve seen now large number of examples where customers said: I can gonna move everything to the public cloud and they are surprised to find that not everything moves so well to the public cloud and in many cases is more expensive. Now, all of you will probably find some applications, particularly where there's high variability in demand where you could make use of a public cloud , that's why we believe it will be this multi-cloud era. So the transformation of the IT is all about the software defined data center, also known as the self-driving data center. And it’s going to be modern, it’s going to be automated, it’s going to be credibly efficient. The third transformation is around the workforce. How do we create the right tools and capabilities to enable and inspire the people inside your organization to be as productive as they can possibly be, not just when they are in the office and not just on one device, but perhaps on many devices. And how do we do that in a secure manner. 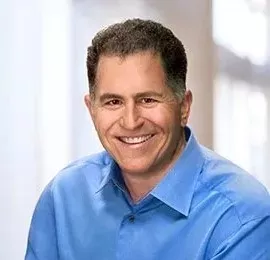 You know, the original business that we started with at Dell, the PC business, I'm proud to say we've now had twenty three quarters growth, and gaining share in that business. Well, some companies take it a different choice, we believe that it’s still an incredibly important part of how productivity gets done and is and in fact the most important device is coming into productivity. Finally, if you imagine a world where everything is connected and everything is digitized, from the water supply to the trains and the air traffic control and banking and healthcare, while we have to think carefully about security. How do we build security into our products so that they are protected and safe and the most valuable data is protected. 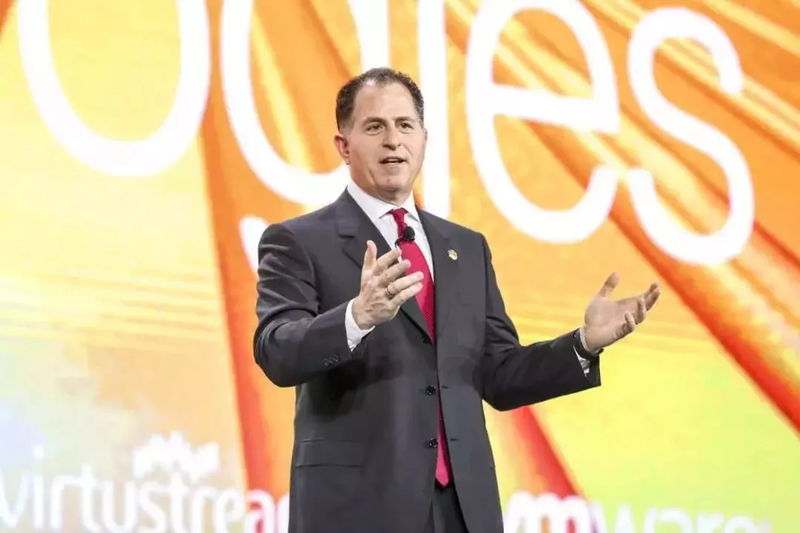 So by bringing together all the family members of Dell Technologies, we have been able to create the world's leading infrastructure company. And our objective is to be your best partner in your digital future. So thank you, ladies and gentlemen for joining us. Ah, thank you so much for all the support you provided us over the last twenty years. We continue to invest significantly in China as you heard from Chenhong. I'm looking forward to the rest of my visit here. Thank you.